Buy Online Now! 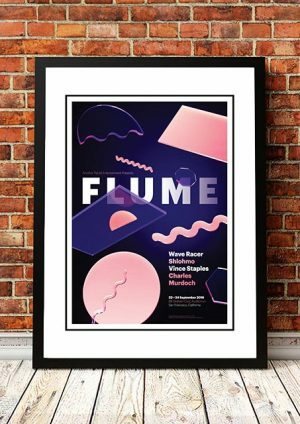 Classic Flume Concert Posters and Memorabilia. 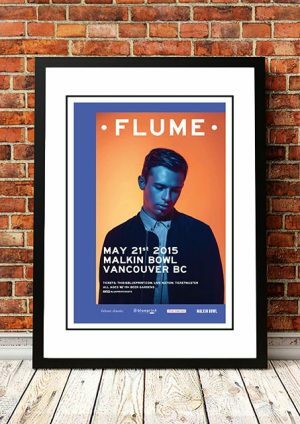 Harley Edward Streten, known professionally as Flume, is an Australian record producer, musician and DJ. His self-titled debut studio album, Flume, was released in 2012 to positive reviews, topping the ARIA Albums Chart and reaching double-platinum accreditation in Australia. 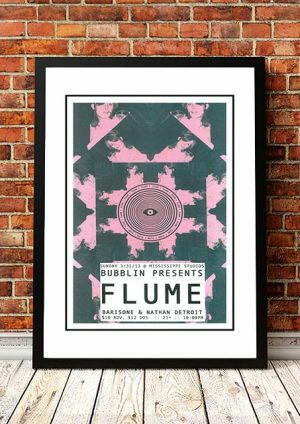 Flume is regarded as the pioneer of future bass who helped popularize the genre. 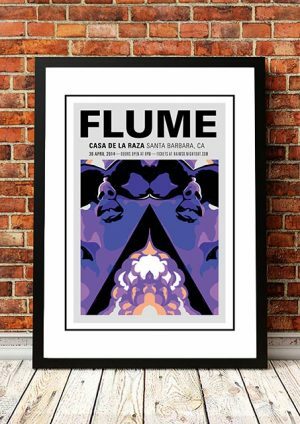 Flume has remixed songs from such artists as Lorde, Sam Smith, Arcade Fire, Hermitude and Disclosure. His second studio album, Skin, was released in 2016, to positive reviews and also topped the ARIA Albums Chart. The album won the Best Dance/Electronic Album at the 2017 Grammy Awards. The album gained international recognition from the album’s first single, “Never Be like You”, which was nominated for Best Dance Recording. After the release of Skin, Flume released Skin Companion EP 1 later in 2016 and Skin Companion EP 2 in early 2017 as the album’s B-side EPs. We stock some awesome Flume Prints.